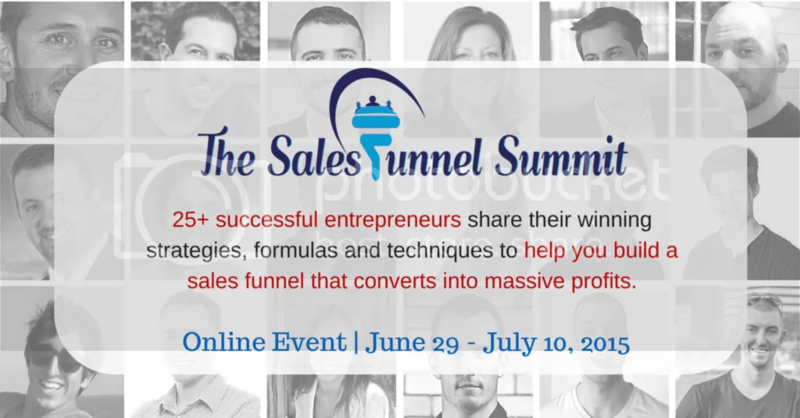 Get Access to 25+ Expert Interviews on How to Build Your Sales Funnel & Start Seeing Your Business Grow! You can get access totally free (for a limited time)! Lauri-Ann Ainsworth is hosting this summit and she has an amazing line up of speakers. These experts are making upward of six figures in their business and they’re sharing strategies and techniques that they are using in their very own businesses to make consistent profits. If you’ve been struggling in your business trying to put the pieces together, then you need to register for The Sales Funnel Summit. Click here to get FREE access. This is one of the most comprehensive summits, designed to carry you through a logical sequence so that you get clarity about how to build a profitable business in a systematic way. You can literally implement strategies & tactics for your own business immediately after the summit. This summit was designed to demystify the system that top online entrepreneurs use to grow their businesses to 6 & 7 figures, but that most newby entrepreneurs just aren’t using. Register for the summit and finally get the pieces of the puzzle fitting together so that you can start seeing your business grow and massive profits coming in.